UNICEF says 11 people have died in a suspected cholera outbreak in South Sudan. The organization said Tuesday there are 72 suspected cases so far, including 36 in the capital, Juba. Others are in Bor and Terekeka counties. 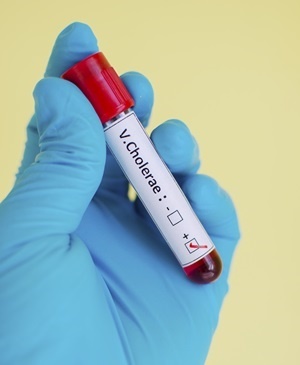 South Sudan's health ministry has not declared an outbreak because samples are undergoing final laboratory testing for confirmation, but a cholera response plan has been launched anyway, said ministry official Dr. Thomas Akim Ujjiga. The ministry issued an alert Sunday after suspected cases started arriving Friday at Juba Teaching Hospital. One suspected case came from inside a United Nations base in Juba, raising fears that it could spread among the 4,000 people sheltering there from fighting this month between opposing army factions, said Ashley McLaughlin, spokeswoman for the International Organization for Migration, which manages the camp. Relief groups need to stem the suspected outbreak "now, before it gets worse" considering the high number of displaced people in Juba during the current rainy season, McLaughlin said. South Sudan's civil war displaced some 28,000 people in Juba after fighting began in late 2013, and renewed fighting last week caused more upheaval, with 15,000 people taking shelter in U.N., aid organization, church and other compounds. 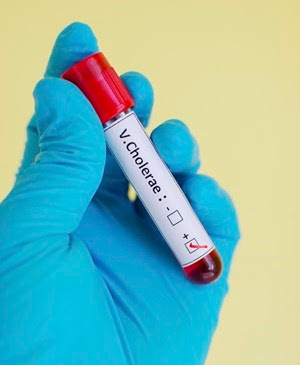 Last year, 47 people died in South Sudan in a cholera outbreak, and 167 died from the disease in 2014.